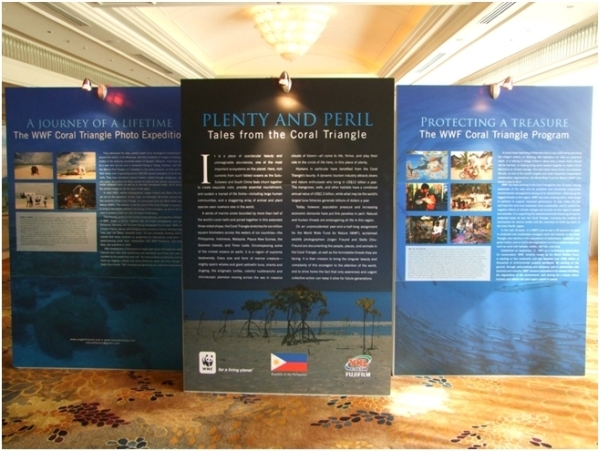 El Nido Resorts joined the World Wildlife Fund‘s (WWF) Coral Triangle Initiative Business Summit held last January 19-20, 2010 at the Shangri-La Hotel-Makati. The Summit aimed to secure the health of the Coral Triangle’s natural resources and the livelihoods that depend on it. Environmental Officer Macy Anonuevo represented ENR. The “Coral Triangle” consists of the the coastal marine waters of Indonesia, Malaysia, Papua New Guinea, the Philippines, the Solomon Islands, and Timor-Leste, covering an area of almost 6.48 million km². The region is home to 3,000 species of fish and almost 500 species of reef-building corals. Last year, the El Nido Resorts were among those visited by WWF’s Coral Triangle Expedition headed by Jürgen and Stella Freund.